Tonight I made dinner pretty late... and I had a big Indian buffet lunch with my awesome friend Jen-Jen-The-Witch's-Hen ... so I was in the mood for something light. I tried to remember an old recipe of my mom's. 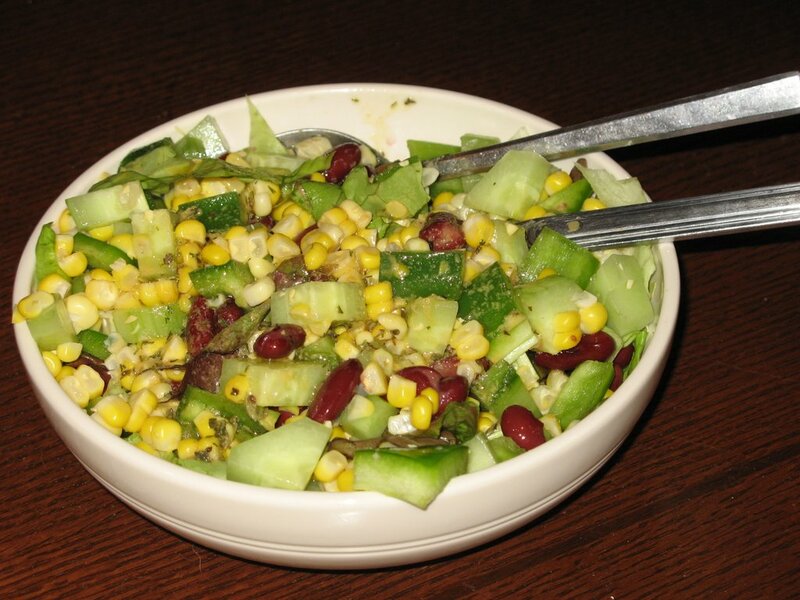 It's a salad with kidney beans, cukes, cilantro, green bell pepper, and corn. I cooked up a fresh corn cob... which was especially tasty. It was a super delish salad, and really hit the spot. 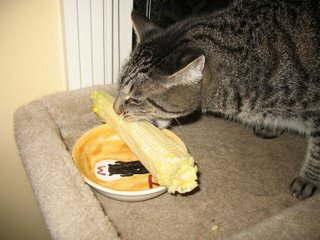 Our cat Yummers loves corn more than pretty much any other food on the planet. Even when the corn is stil boiling in the pot, he is already standing in the kitchen screaming at me to give him some. Tonight I let him chew on the cob after I had cut off the kernels for my salad. You can see that he was pretty psyched! Your cat is awesome! 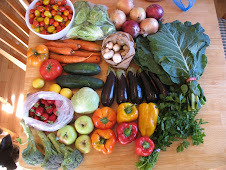 And all your cooking looks fantastic too! We really love Yummers, he is a very cool cat. He loves veggies & fruit, he loves doing yoga with me, and he loves hanging out in the backyard on the lounge chair too. He's such a special guy!